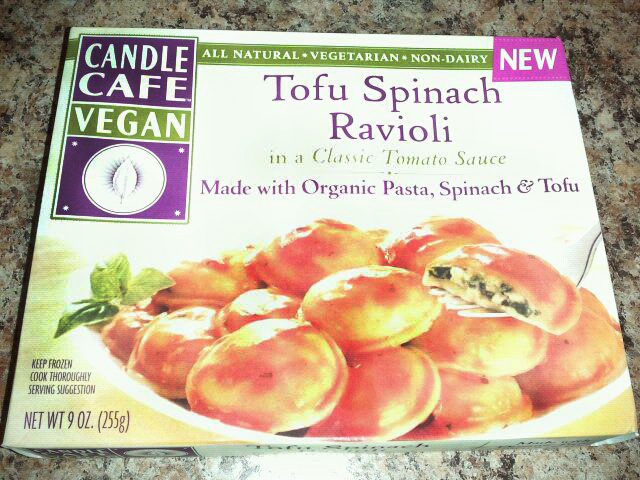 I purchased all 4 entrees to tell you about each, and I’ll start with the Tofu Spinach Ravioli. This cooked up in 4 minutes and smelled great. The sauce was really tasty, and the cheese is tapioca based, so I’m thinking that means Daiya mozzarella in there. 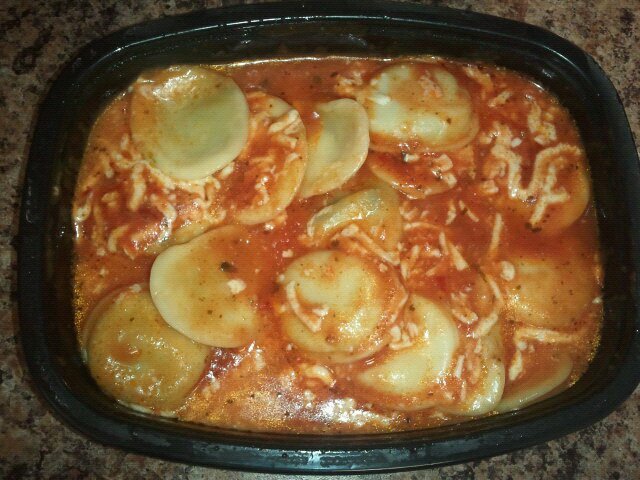 The ravioli themselves were pretty good, but maybe could use a touch more seasoning. All in all, a very enjoyable meal and 11g of protein for 320 calories and 10g of fat. (The two cheesy pasta dishes are the fattiest.) I literally scraped every bit out of my plastic tray. actually, they were posted in the review! but here’s more: 320 cal, 10g fat, 750mg sodium, 48g carb, 4g fiber, 4g, sugar, 11g protein. 15% of A, calcium & Iron.